Have you ever wanted to ride horses? Well this year at PHS Rylee Hayes is helping Ms. Rollins who is the art teacher here at PHS, bring back the equestrian club. 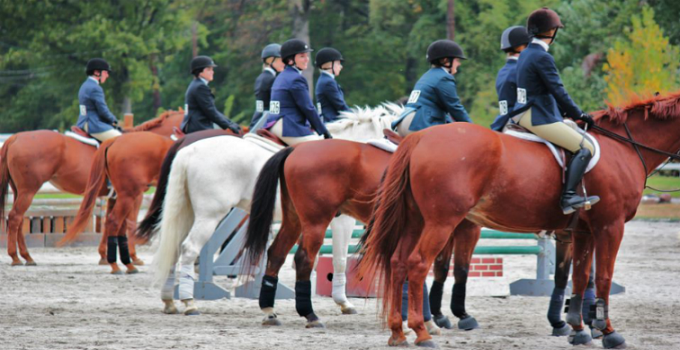 The equestrian club is a club all about riding horses for competition and learning cool tricks and jumps you can do with horses. Rylee Hayes is a freshman this year at PHS and her mom is a teacher in the district. She has been riding horses for two years, she has one horse and she rides him three times a week. Rylee’s love for riding goes back to her friend showing her and she has loved it ever since. Rylee said “She loves riding horses because it is a great way to calm you and it’s really fun.” Rylee proceeded by saying there competitions will most likely take place in the Rogue Valley but she doesn’t know for sure so we looked into it. We talked to Ms. Rollins and she said that their competitions will be taking place “at the Expo in Central Point.” We also asked Mrs Rollins why she wanted to start the equestrian club back up again and she said “a handful of interesting athletes, a lot were freshmen, so it was a good idea to start it back up again.” So if you want to join the equestrian club and ride horses for competition and be a part of a great team, talk to Rylee Hayes or Ms. Rollins to get in, because they need students who will put in the effort, who love horses, and love riding them. So we encourage all the students at PHS to look into this amazing club for riding horses and talk to Rylee Hayes or Ms. Rollins. Get out there join a club, and be more involved in the clubs PHS offers. So get out there, be involved, and let’s show our Pirate Pride! 1 Comment on "Bringing back the Equestrian Club"
Jessica, great hearing you are back in the saddle with the Pirate Riders. You have the experience, and the Riders have a coach who knows what she is talking about. Saddle up, and go get ’em PHS Riders.